Raymond Bonner, a Pulitzer Prize winning journalist, wrote that in his 1994 book, “At the Hand of Man – Peril and Hope for Africa’s Wildlife”. He was writing about WWF when Charles de Haes was International Director General (from 1975 to 1993). Has WWF changed since then? On 25 May 2012, the Süddeutsche Zeitung published a review of Huisman’s book. It is translated below in full. WWF has reacted to the article with a post on its website with the answers to the journalist, which were not published in the article. The questions were, according to the journalist, Lars Langenau, intended for a future article about WWF’s attempts to prevent the publication of Huisman’s book and film. WWF hired a “very expensive media lawyer” and is “using methods here that are so far unique in German media history”, Langenau wrote in a comment to his article in the Süddeutsche Zeitung. The World Wide Fund for Nature describes itself as the saviour of wild animals. “Black Book WWF” scratches the clean image of the environmental organisation. Five examples of questionable business practices – from big game hunting to round tables with genetic engineering giants like Monsanto. If WWF had its way, this book would probably never appear. It has gone to court to demand that certain claims cannot be made. 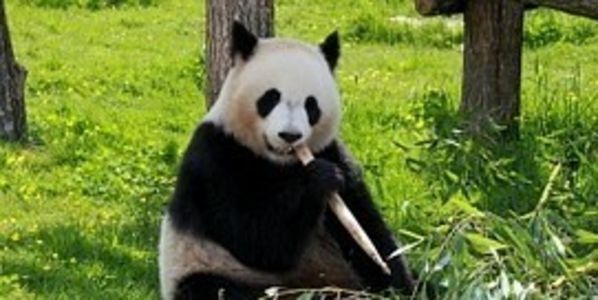 The environmental organisation with the panda logo is trying to stop the “Black Book WWF: Shady deals under the sign of the panda” (Gütersloher Verlagshaus, 19.99 Euro). The case has not yet been legally decided, but WWF has already won a partial victory. Nearly all major online booksellers have banished the book from their range, after massive pressure from media lawyers on behalf of the powerful organisation. In fact it can only be ordered directly from www.randomhouse.de. Of 10,000 copies, only just over half have been sold. WWF evidently fears hardship as a result of the publication. There seems to be a dark side to the panda, the trustworthy brand, that companies like to advertise: This gives a green coat of paint and gives customers the feeling of doing good in concrete terms. “Sustainability has become a billion-dollar magic word,” says Wilfried Huisman. The journalist, filmmaker and author has researched for many years. First for his film “The Pact with the Panda.” Now for the “Black Book”. He traveled to Argentina, Chile, India, Nepal, Indonesia, USA, Switzerland – and his findings are disillusioning. In the “top brand of conservation organizations,” not everything is as it seems. Unlike many environmental organisations such as Greenpeace, WWF is not confrontational, but wants to “hug” industry – and so change the behaviour of even the most controversial corporations. A tactic which is controversial even within the organisation. Unlike other environmental organisations, WWF takes donations from industry. Where is the independence? Reading this book brings at least doubts to WWF’s claims to the contrary. WWF’s campaigns are primarily for large, charismatic animals – often tigers, whales, polar bears, elephants. Ironically, the King of Spain recently made headlines when he broke his hip during an elephant hunt in Botswana. Juan Carlos is the honorary President of WWF Spain and a big game hunter – with this hobby he is far from alone in the leadership of the WWF. The three times Grimme Prize winner describes the bloody intertwining of the first WWF President, Prince Bernhard of the Netherlands, with the apartheid regime. Huisman reveals personal entanglements between the powerful and WWF, whether in Juntas or in the oil business. He shows how the WWF was supported by an “alliance of money and blood nobility” in the secret “Club 1001″ – an “Old Boys Network” with names like Henry Ford, Baron von Thyssen, Aga Khan, Juan Antonia Samaranch Alfred Heineken, Berthold Beitz, Friedrich Karl Flick, as well as war criminals and state terrorists like Mobutu Sese Seko. There are 4,000 wild tigers still on the earth. WWF has designed an apocalyptic-themed campaign, using images of tigers and driven by donations to “Save the Tiger”. About 100 of the tigers live in the Kanha National Park in India. A safari there costs just under US$10,000. Premium partner of the travel agents: WWF. Now 155 Jeeps also other operators tour through the park every day. But what does this have to do with conservation? To make way for the establishment of the National Park hundreds of thousands of indigenous people have lost their homes, even though they have lived there for centuries with the tigers. To urge on the authorities, WWF India forced them to accelerate the mass resettlement with the help of a court order. Now up to one million indigenous people are to be resettled, because the old reserves are being expanded and new ones created, the author writes. A motto that also applies elsewhere. “In Africa alone 14 million people have been resettled against their will, to make room for wild animals,” Huisman writes. From the beginning, WWF has seen environmental protection as a kind of continuation of colonialism by other means. “Eviction is a very dark chapter of conservation,” a spokesperson for WWF tells the Süddeutsche Zeitung. But he adds that, “WWF has learned and a long time ago rejected forced relocation.” However Huisman documented a different reality. WWF is also working with Marine Harvest from Norway. Principal owner: John Frederiksen, financial investor, owner of the largest tanker fleet in the world, market leader for oil platforms and the man who has in his hands one-third of global salmon production. Frederiksen’s company breeds salmon in Norway and off Chile’s coast. In Chile, they are kept in huge cages and pumped so full of antibiotics that Huisman calls them “floating pharmacies”. Sustainability is impossible for the salmon production. “To produce one kilo of salmon, four to six kilogrammes of wild fish are killed,” and turned into fish food, Huisman writes. Marine Harvest is a “Janus-headed monster”, which appears green and transparent in Norway, but in Chile destroys the marine ecology and the lives of people. Nevertheless, in 2008 the company and WWF completed a partnership contract. Palm oil is found in many detergents and cosmetics. The run on the valuable oil only really started, when Europeans discovered it as a “renewable” plant-based energy. In Kalimantan, the Indonesian part of Borneo, forests are being cleared – once for timber production, today in order to create palm oil plantations. Huisman criticises WWF for seeing a negotiating success, when Wilmar, the world’s largest palm oil company, can log 300,000 hectares – and in return, leaves about two per cent of the area as a protected area. In addition, WWF sits together with Unilever, Bayer and the HSBC Bank at a round table, that in an act of self-regulation, distributes sustainability certificates – this in turn legitimises the clearing of forests, provided they are not to be particularly worthy of protection. WWF all-rounder Jason Clay, vice president of WWF-US, sets up the most important industry partnerships for the environmental organisation. He represents WWF at a lobbying organization for the agro-technology companies Cargill and Monsanto – and is a champion of genetic engineering. Once again they sit together at the round table, once more through the joint award of sustainability labels WWF gives a controversial industry a green, progressive image, according to Huisman. “These labels are not a panacea, they set minimum standards, often those of organic labels are higher,” even the WWF spokesperson says. But it is not enough, when he insinuates Huisman personally, that these always turn out as if all the hardships of the world were the responsibility of WWF. He does not do that. His book raises questions. Lots of questions. From WWF, one hopes for answers – not excuses or expensive lawsuits. We urge the WWF to stop killing Animals and respect Animal Rights! please sign the petition and share it with friends! i am writing to express my Condemnation about the WWF . The Environmentalists are known primarily for alleged proximity to the agricultural industry From Indonesia, India, Argentina and the United States comes disturbing images. They show forced displaced indigenous people, through palm plantations replace forests, Tigers disturbed by ecotourists , soybean monocultures to the horizon - all supposedly with the blessing of the environmentalists. "The earth is divided by the agro-business - and the WWF is one of the Game" The critique makes, among others, firmly believe that the WWF along with large agricultural corporations like Monsanto to so-called round tables for soy (RTRS) and palm oil producers (RSPO is seated). Multinational giants could thus be assured even in dubious practices of the benevolence of the environmentalists. But that's not enough. The organization was standing up for the widespread distribution of genetically modified seeds: "The Panda has allied itself with the genetic engineering industry, and they want hide this. In the Seveso-contamination is a leading WWF head was involved. In 1976, the Italian town of Seveso contaminated after a tanker exploded with dioxin at a subsidiary of the Swiss chemical company Hoffmann Laroche - many animals and people have been ravaged by the disaster. WWF Vice President Luc Hoffmann was then consolidated shareholder. In the 60s, the WWF got a large donation from Shell, then the biggest producer of herbicides (herbicides) and pesticides (pesticides). Shell's chief managed to prevent a statement from the WWF to pesticides: The WWF is therefore not involved in the biggest environmental debate of the '60s. Rhinos were in the 80s are often the victims of poachers. End of the 80s, the WWF wanted to end the problem of poaching and slaughter of rhinos in their own way and to reveal commissioned a group of mercenaries, the trade routes. But it disappeared, the horns and looted the money from sales. The survival of the panda is reasonably assured. Nevertheless, the WWF called the "largest environmental organization in the world". The organization has good contacts in politics and business. In the early years of the WWF sought the proximity of rich and powerful such as Prince Bernhard of the Netherlands and Prince Philip of England. But they were just passionate big-game hunters killed animals and were photographed with media attention. We urge you to stop killing Animals and respect Animal Rights!